Today, like yesterday, the market is "thin". Exchange in the US will close at 21:15 Moscow time and the schedule should simply turn into a line. Of course, large price changes are possible in the “thin” market, but, first, it most often goes without them, and second, it is impossible to predict the market, both before and after the jumps appear. Therefore, only the European session we consider for trading. We exclude the USDJPY pairs and GBPUSD, since all important news are related to the Brexit agreement and the upcoming EU summit in the weekend. 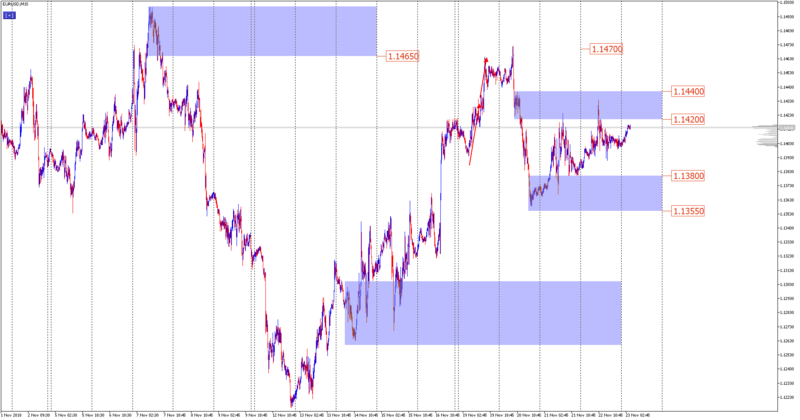 On the EURUSD pair, we single out the area of 1.1420-1.1440 as resistance, and 1.1380-1.1355 as support. 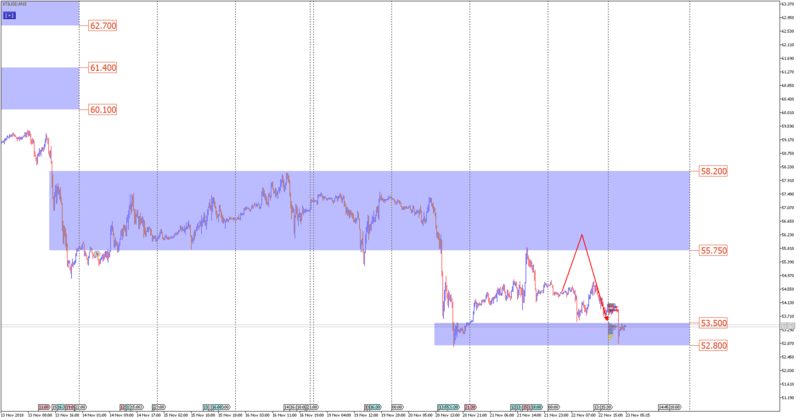 You can try to work on the rebound from these ranges, but it will be boring and long. In addition, the breakdown in any direction will be unpleasant, and it can only be disassembled from next week. The main volume, which locates in the range of 55.75-58.20, indicates that the downward movement is the main direction. Any correction towards to mentioned area could be considered as possibility of selling. We recall that Trump still wants to see oil lower and even has switched to a benevolent tone with the Saudis. And it is also worth considering that the break-even point for producers of shale oil is $ 34. If you add the cost of transportation here, it will be $ 39. The current price of WTI is 53. So, the potential for a fall at the most optimistic opportunities is $ 14. So hard, it may not fall, but 50 and 45 may well touch. Further decline would be difficult.